Elijah Radio is non-profit, faith-based ministry that began with a call and promise from God in 2005, “You have made me glad through Your work. I will triumph in the Works of your hands.” Psalms 92:4. God worked in wonderful ways to bring WSJL 88.1 FM onto the airwaves of the Birmingham area on March 22, 2013. 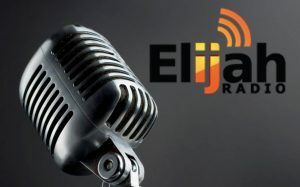 Elijah Radio provides our listeners with a unique blend of Christian talk radio that includes not only sermons, but also health and lifestyle, family, Christian finance, children’s programs, creation science, prophecy, and inspirational readings. We believe that it is Birmingham’s best Christian talk radio! We believe that our mission from God is to broadcast the holistic gospel of Jesus Christ in greater Birmingham to prepare people for the soon coming of Jesus to earth. (Jn 3:16, Rom 5:8-11, Rev 14:6-12) We do this by broadcasting Bible-based talk radio that preaches the gospel, explains prophecy, strengthens relationships, deepens Bible study, enables healthy living, reveals true science, draws kids to the Bible, and teaches godly financial management. Our vision is to be a Christian ministry that not only proclaims God’s love and truth, but demonstrates it through loving acts of service. We envision volunteers from many churches working together to meet the needs of people in our community, while pointing them to Jesus as the ultimate solution for all of our problems. And we anticipate fruit for God’s kingdom as multitudes accept Christ and His complete truth for this time and join His church.